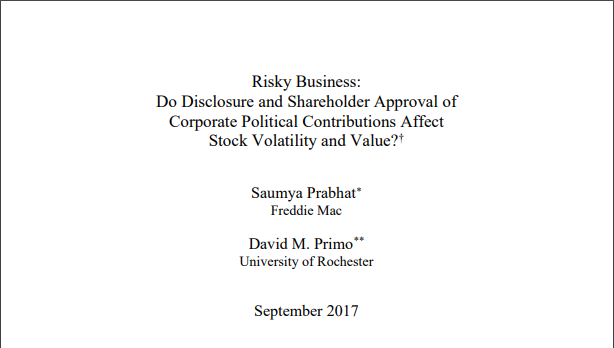 In this updated study by Associate Professor of Political Science and Business Administration at the University of Rochester, David Primo, and Saumya Prabhat, former Assistant Professor of Finance at the Indian School of Business and current Quantitative Analytics Supervisor at Freddie Mac, the authors utilize a quasi-natural experiment to examine whether disclosure and shareholder approval of political expenditures reduces shareholder risk – a claim often made by those advocating for greater regulation of involvement in the political sphere by business entities. 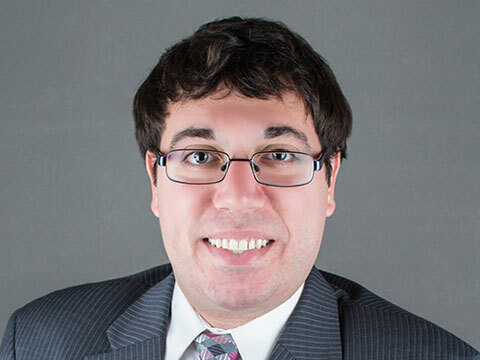 In particular, Primo and Prabhat examine the Neill Committee Report (NCR), which led to the passage of the United Kingdom’s Political Parties, Elections, and Referendums Act of 2000 (PPERA) and strengthened disclosure of and required shareholder approval for campaign contributions. Using a differences-in-differences methodology, the authors find that politically active firms saw an increase in their stock’s volatility along with negative long-term abnormal stock returns upon the release of the NCR. These results present a challenge to arguments for greater disclosure and shareholder oversight of corporate political activities. You can read the full updated study here.